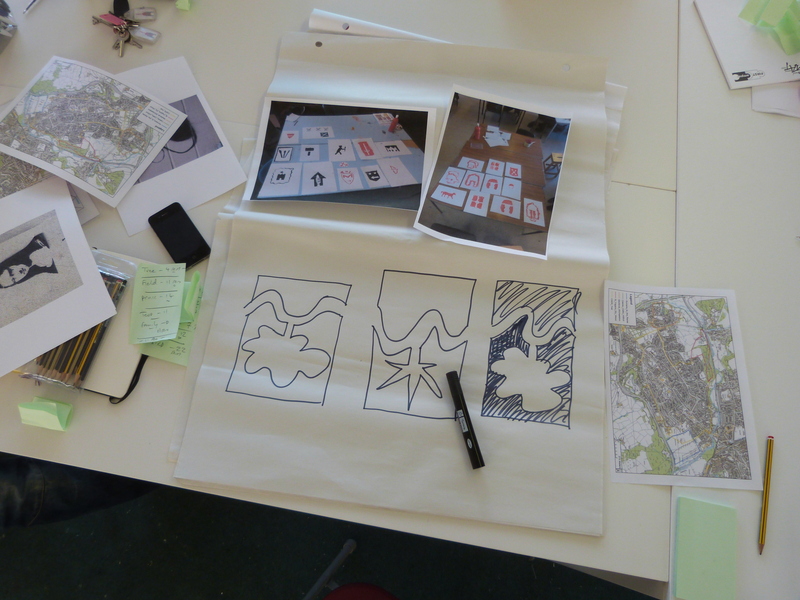 The visual ideas for our Caerau and Plymouth Woods way-marks were developed during two games of Pictionary led by Caer Heriitage project artist Paul Evans. The first game took place at our Christmas celebration at Dusty Forge last year, and involved members of the friends of Caerau group. Each member of the group was asked to think of a word that summed up or suggested Caerau. These words were then written onto Post-it notes that were folded up and put into a hat. Each member of the group then selected a word at random and made a drawing of that word – the rest of the group then had to shout out guesses … The drawings that were identified quickest were clearly the best candidates for recognisable motifs and were thus used to further develop our trail mark for Caearau. This procedure was then repeated with a very lively game at Grand Avenue Times. The finalised trail marks will be revealed at the heritage trails launch day on 3rd May. This entry was tagged Caer Heriitage, Caerau, Paul Evans, Pictionary, Plymouth Woods. Bookmark the permalink.